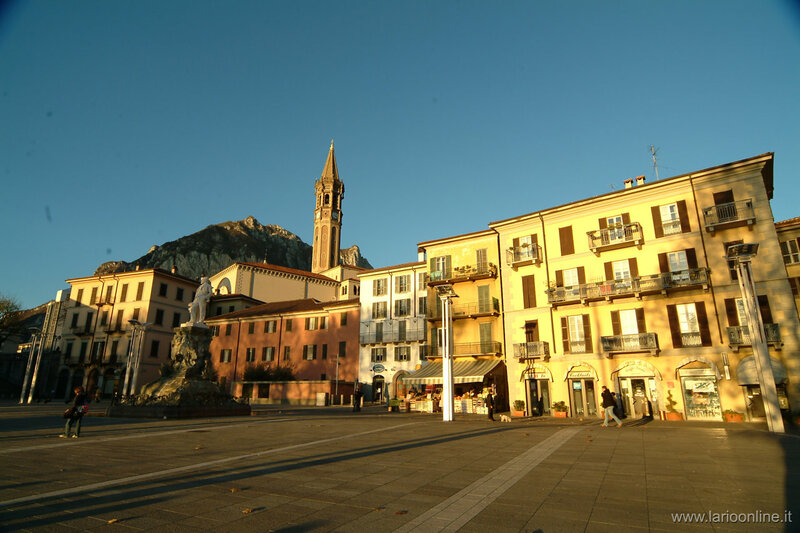 The city is situated on the extreme southern point of the Lario, in a flat area nearly tightened in the valley surrounded by rocky mounts. The medieval origin explains the particular shape of Lecco, constituted from a series of district one close to each other: the district assigned to the production along the valley of the Gerenzone, the agricultural quarters, the quarter of the fishermen (Pescarenico), the military quarter (Castello) and the Borgo, place of the market and the exchanges on the shore of the lake. At the beginnig of XI century, it became dominion of the archbishops of Milan, during the decennial war; it formed an alliance with the Ambrosian city and fought on the lake with one own flotilla against Como (1117-1127). After 30 years, it supported Federico Barbarossa against Milan and participated, then, to the fights between Visconti and Torriani as allied with them. 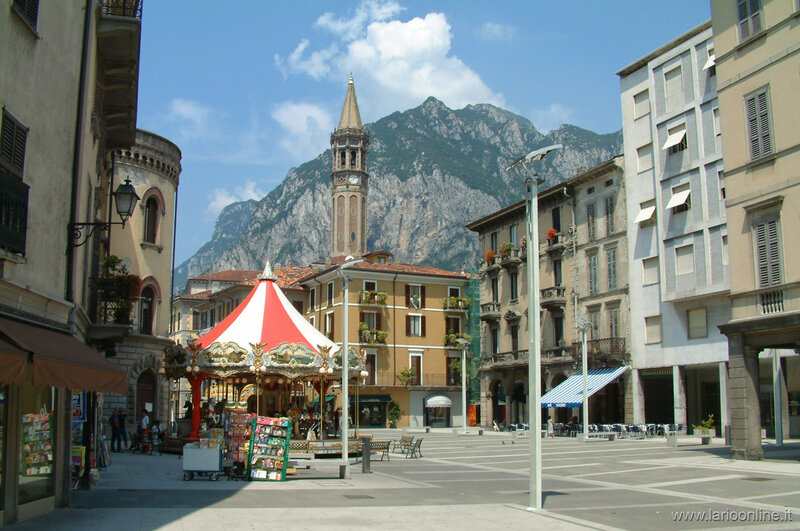 In the 1296 Lecco was destroyed from the new Prince of Milan, Matteo Visconti, and the population was banished in the area of Valmadrera and had absolute prohibition to return to the extreme slopes of the Saint Martino mountain. This exile had short duration, in fact, to the beginnings of the XIVth century Azzone Visconti reconstructed the city and rebuilt the castle, probably moving it from the original center (Castle of Lecco) to the shore of the lake(Village of Lecco). He decided to erect the important fortified bridge on the river Adda,it nowadays has his name. 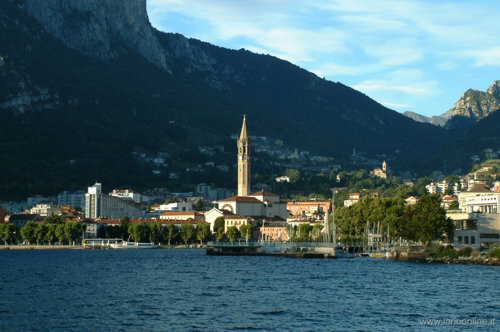 The inhabitants of Lecco were often protagonists of numerous battles against the Republic of Venice. Only with the Peace of Lodi, stipulated in 1454, the city caught up the tranquillity, became an important border stronghold and will remain such for more than three centuries. Moreover, with the transfer of Bergamo and Brescia to the Republic of Venica, Lecco and the Valsassina became the only productive pole of iron, indispensable for the economy and the military production of the entire Ducato. 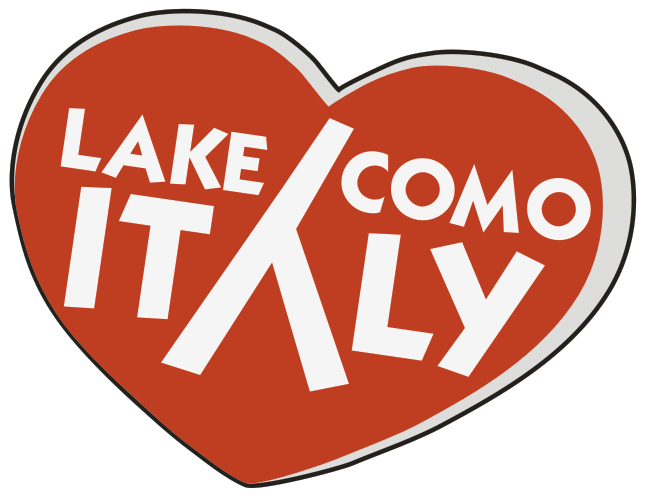 Afterwards, with the Austrian dominion, Lecco was marked from a period of economic and social resumption, with the development of the industries of the silk and the iron. This one, that already lives in XIIth century, thanks to the wealth of the ground and the abundance of water like source of energy, exploded in the second half of the XIXth century. The industry of iron supplanted the ancient silk industry, of which the various factories scattered on the territory constitute testimony, abandoned or converted to new destinations spinning mills (rooms, centers of public agencies and so on). The iron industry is today the main activity of the area and has deeply contributed to design the aspect of the region. 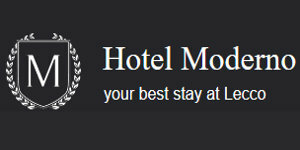 The good position of Lecco makes possible to find pleasant and easy reachable places, where to do short daily excursions. The ones who love nature and are good walkers, can go up to the mount Barro, whose summit offers a good panorama on the gulf of Lecco and the Brianza. It is possible to go up to the panoramic summit of the Resegone or, remaining to level of the lake, you can go to Garlate in order to visit the Silk Museum. 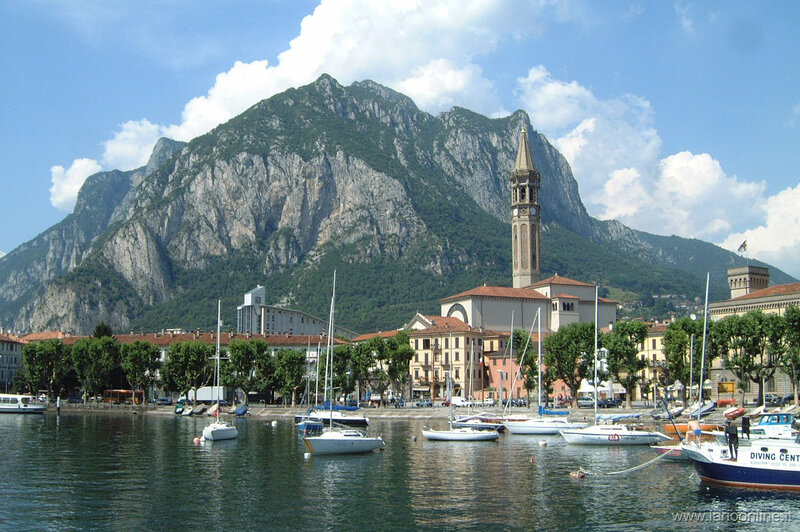 Lecco and its surroundings are proposed today also as manzoniani places and it is possible to visit the most famous setting. From the house of Lucia to the parish of Don Abbondio, that is the church of Saints Vitale and Valeria, in the village of Olate, from the residence of Don Rodrigo on the Hill of the Zucco to the castle of the Innominato near Chiuso, until the convent of Frà Cristoforo in Pescarenico. It is the old market square, narrow and irregular, lined with non-aligned porches.